Enter Teddy’s #PicOrTreat Halloween Costume Contest for a change to trick or treat with Racing President Teddy! Just post a photo of you and/or your kids in a Washington Nationals-themed costume to Instagram with the hashtag #PicOrTreat by Wednesday, October 23 to enter to win! The five finalists will be announced October 24. See Official Rules. The fall weather is upon us now so this weekend is perfect timing for heading to a pumpkin patch and picking out the perfect pumpkin. 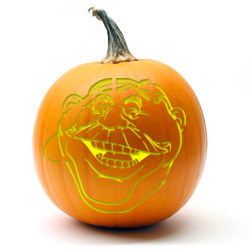 Fans can even download the Nats stencils and show your Natitude by carving a Nats pumpkin! Be creative!